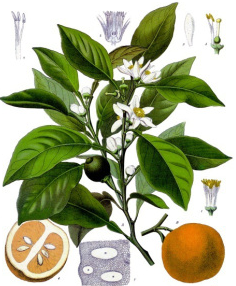 Three different VedAroma Essential Oils are produced from a single plant. What is the botanical name of that plant? Which are the three VedAroma Essential Oils produced from that plant.